These kids had fun playing at the Howard City Winterfest 2010 last January. Come on out and join them this year! Photo courtesy of Village of Howard City. If you are looking for something to lift the mid-January blues, head out this weekend to Howard City’s second annual Winterfest, January 14 and 15. Added to the slate of activities this year are some adult team activities sure to be good for a few laughs. They include a four-person wooden ski race, tug of war, frozen chicken bowling, and bed races. Those interested can register a team of four on the day of the event. Another new event is the chili cook off, sure to warm up participants and give them a tasty meal to boot. Other activities include a polar plunge, snowman building contest, snowmobile ride to Cadillac and more! Visit howardcity.org for complete details. 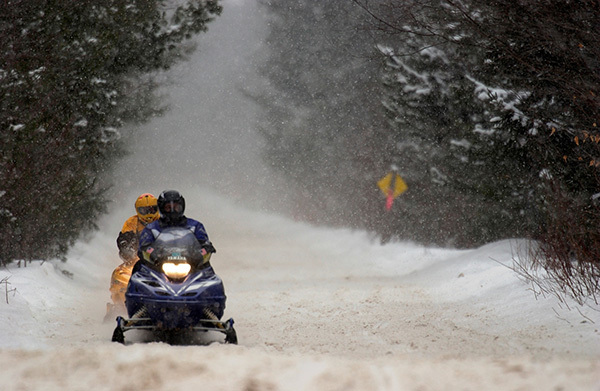 With winter here, Secretary of State Terri Lynn Land reminds snowmobilers that a safe riding season depends on proper training and abiding by state safety rules and regulations. 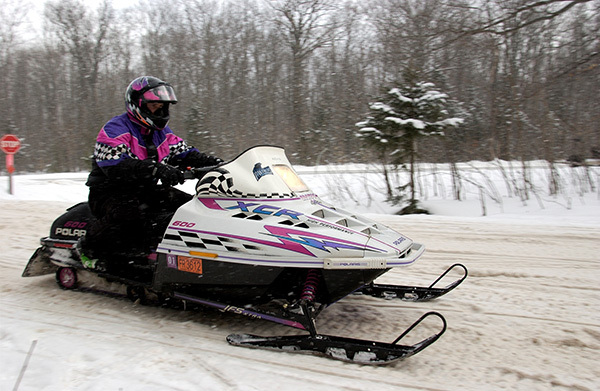 Snowmobile operators are reminded to never operate a snowmobile under the influence of drugs or alcohol or at speeds that are unreasonable for conditions. Residents whose driver’s license has been suspended or revoked may not legally operate a snowmobile. Additional information about registering snowmobiles is on the department’s Web site at www.Michigan.gov/sos.